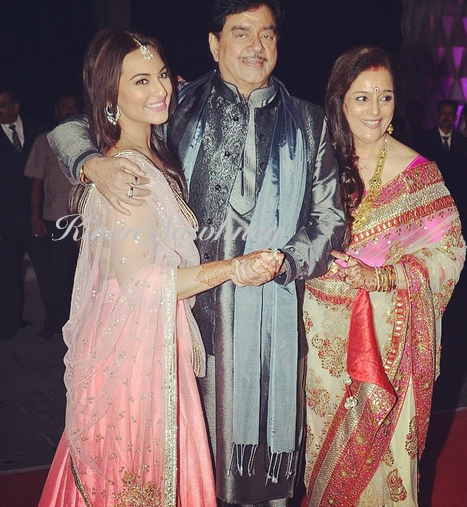 We love this pic of Sonakshi with Shatrughan Sinha and also with her mom. Sonakshi Sinha's brother recently got married. We did a blogpost about mehendi and wedding. Yesterday was the reception which was a star studded affair. 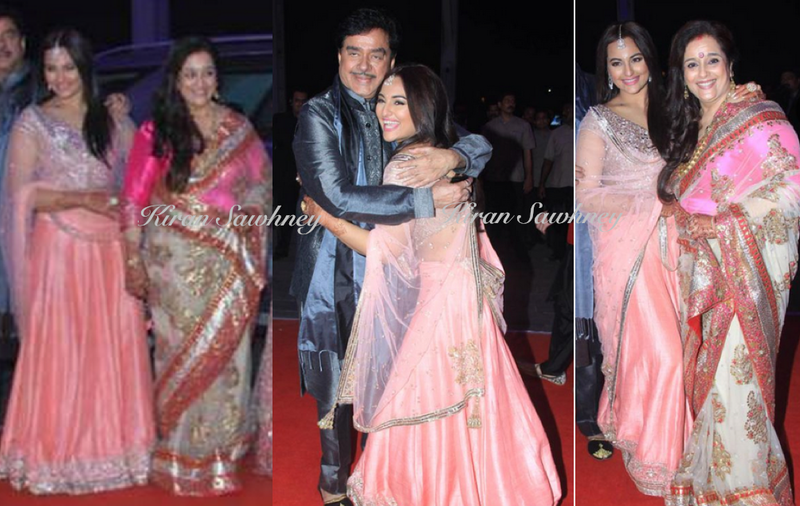 Sonakshi wore salmon pink, Manish Malhotra lehenga, that she paired with jewelry from Anmol. She looked nice with maang tika and simple makeup.